Ref: excerpt from the New Zealand Herald, Volume LX, Issue 18420, 8 June 1923, p.8. Jamuna wasn’t resident at the zoo at the time of its opening on 17th December 1922, but arrived shortly afterwards, in June 1923. 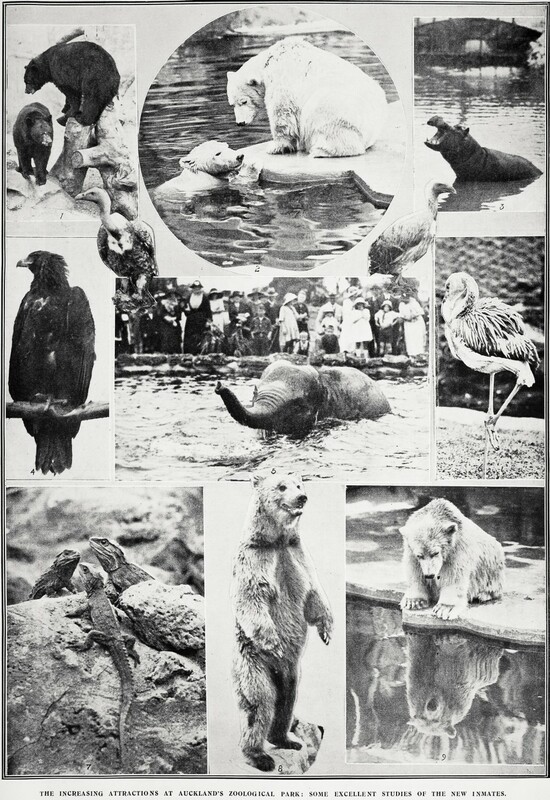 Ref: Auckland Weekly News, The increasing attractions at Auckland's Zoological Park, 24 January 1924, Sir George Grey Special Collections, Auckland Libraries, AWNS-19240124-45-1. Jamuna, thought to be six years old, came from the Zoological Gardens of Calcutta, accompanied by her mahout Ater Ali. Her purchase was funded by a donation from businessman, Auckland City Counsellor and first life member of the Auckland Zoological Society: John Court. 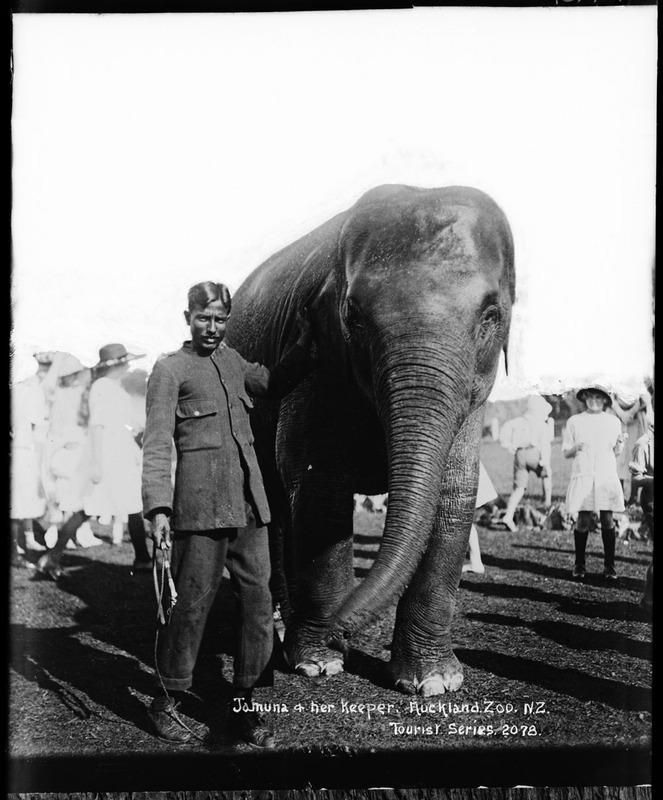 Ref: FG Radcliffe, Jamuna and her keeper, 1920s, Sir George Grey Special Collections, Auckland Libraries, 35-R177. As the Elephant House was not yet completed, Jamuna was first housed in the council works depot. This proved to be less than ideal with Jamuna breaking out when left alone one evening and causing quite a bit of destruction. Jamuna had been familiar with giving rides to children in Calcutta, and started giving rides to children at the Auckland Zoo on 10th November 1923, with the first rides going to the children who had won an essay-writing competition. Ref: excerpt from the New Zealand Herald, Volume LX, Issue 18554, 12 November 1923, p. 8. Much to the delight of Auckland families, as a condition of his gift, John Court had stipulated that rides on Jamuna would be free for the first year. Ref: FG Radcliffe, Watching the elephant, 1920s, Sir George Grey Special Collections, Auckland Libraries, 35-R176. Mahout Ater Ali had a somewhat troubled relationship with his employers. Wood notes that there were disputes over pay, working conditions and residency permits. As a result of these, Ali left the zoo in 1925, zookeeper J Dawson having been trained to manage Jamuna. This 1929 newspaper article describes Ali as an overstayer, being ordered to leave New Zealand. Ref: excerpt from the Auckland Star, Volume LX, Issue 210, 5 September 1929, p.8. 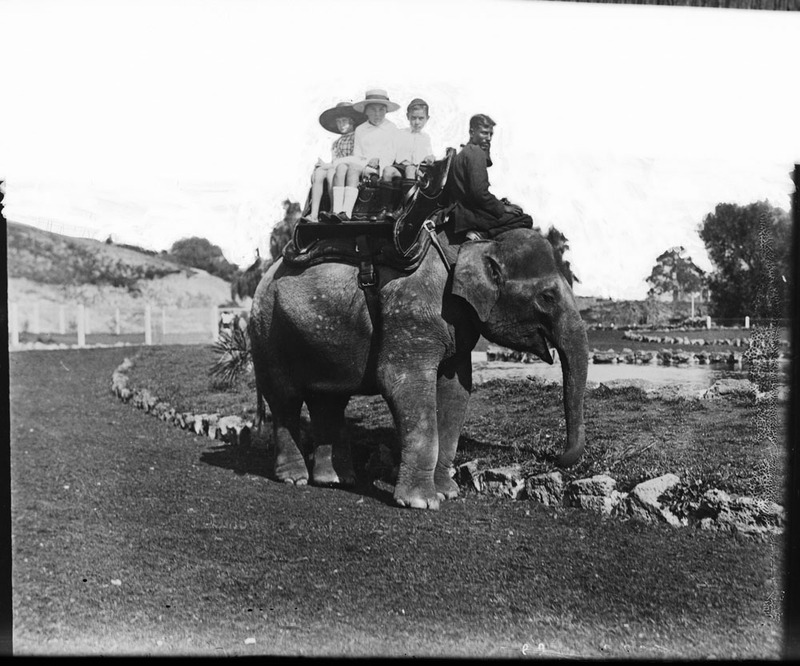 In 1930, following an offer from the Hobart City Council, a bull elephant, Rajah, was purchased as a companion for Jamuna. However, Rajah quickly proved to be of a highly disagreeable disposition, was unable to be used for elephant rides, and after a string of incidents was finally shot by his keeper in 1936. Ref: excerpt from the Auckland Star, Volume LXVII, Issue 58, 9 March 1936, p.8. Jamuna remained highly popular with children and other visitors. Tragically, in 1954, 65-year-old keeper Frank Lane died when the Jamuna swung her trunk, knocking him into a wall; the coroner judged the death to have been accidental rather than from a deliberate attack. Jamuna continued give rides to successive generations of children, and earned more than her keep in ride fees, as attested to in this 1943 article. Ref: excerpt from the New Zealand Herald, Volume 80, Issue 24595, 28 May 1943, p.4. A female companion elephant, Kassala, was more successful than Rajah, but was sold in 1957 under some controversy; in 1961, another elephant Malini was gifted to the zoo by the Indian government, however I have been unable to trace what happened to her. Jamuna passed away on the 2nd September 1965, and her 42 years of service was memorialised in a plaque placed on the wall of the elephant house. The tradition of giving elephant rides died with Jamuna, zoo practice having changed much over the years. As a replacement for Jamuna, in 1968 Ma Schwe was gifted to the zoo by the son of John Court, but died in 1982 of acute heart failure. Kashin joined the zoo in 1973, and Burma arrived in 1990. When Kashin died in 2009, she was farewelled by over 17,000 visitors. Whist other zoo elephants have continued to follow in her (large) footsteps, as the zoo’s First Lady, Jamuna has left a long and lasting impression. 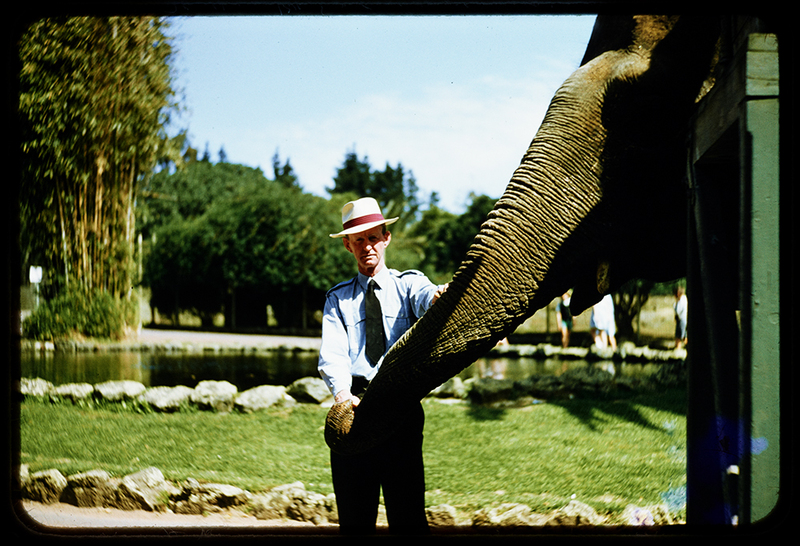 Ref: Ron Clark, Jamuna and her keeper, February 1956, Sir George Grey Special Collections, Auckland Libraries, 1207-784. The background reading that informs this post was from A tiger by the tail: a history of the Auckland Zoo, 1922-1992 by Derek Wood with Robert Mannion. This is the second in our series on elephants in Auckland. I'm sorry I have to absolutely disagree with your statement about Rajah. A consiiderable amount of time was spent by both myself and fellow historian/close friend Lisa Truttman. 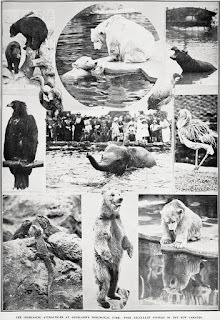 Rajah had spent his early days at Hobart Zoo (Beaumaris Zoo) he was used for giving children rights from 1927 until 1930 when economic factors forced Hobart City Council to sell Rajah. The assertions made in A Tiger by the Tail about the so-called cause of Rajah's alleged bad temper have been proved to be a complete fallacy based on a letter written by North Shore socialite E. J Tremain who had made a number of unfounded claims about Rajah including that he had been at London Zoo. Rajah was never at London Zoo, in fact he had been on exhibition at the 1924 British Empire Exhibition in London (Wembley Stadium) and was owned by animal dealer George Bruce Chapman. He was swamped for a Bennets Wallaby and a Tasmanian tiger arriving in 1925. There is very little mention of Rajah and any issues in the zoo archives until the appointment of Col. Sawyer who decided that Rajah should be destroyed and it had nothing to do with temper rather that he considered the elephant to be a liability. He asked permission to have Rajah destroyed and the bones and skin offered to the Auckland Museum. it was granted with a note attached "No publicity" I wrote about Rajah back in 2010 which was used in Brian Gill's book about some of the icons in the Auckland Museum. and later I revisited the causes of Rajah's destruction in a further blog post titled "The Wild Child Revisited" Auckland Zoo as a result removed the reference mentioned in a Tiger by the Tail about the so called "cigarette in the truck" incident which never happened. Ater Ali had actually gone into business during his time in between court visits. Eventually he was deported possibly to Fiji. I would also caution against relying completely on A Tiger by the Tail as a sole reference. Better sources are available through the Parks & Recreation Committee minutes and reports held at Auckland Council Archives. BTW it is not Malina the correct name is Malini cheers. Kassala was sold to Bullens circus. Hi Liz, Ater Ali was my grandfather & he did get deported to Fiji where he raised a family. I'd like to find a copy of the book A tiger by the tail : a history of the Auckland Zoo. If you know where I can buy one, please let me know. When the keeper of Jamuma died we understood at the time that she was frustrated by cramped concrete quarters teathered by her foot when not working and getting a bit grumpy in old age. 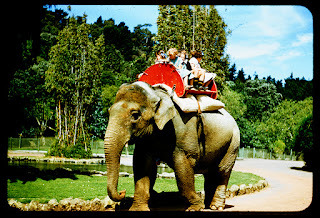 I rode Jamuma at every opportunity as a kid as was a frequent Zoo visitor I will never forget the lurching movement of being aboard as she walked round the central duck pond on her usual round per ride. Some of my fondest memories.